You will end up with a full house at Aces Wild Spade. 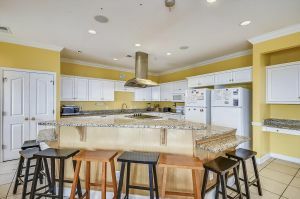 This non-smoking North Myrtle Beach, South Carolina villa boasts a shared swimming pool, complete with oceanfront views, and easy access to the shoreline. 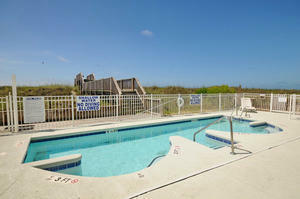 The pool is shared with three other vacation villas. 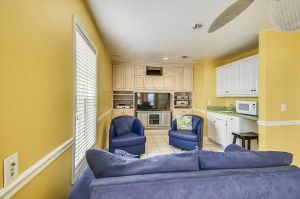 Bring your computer if you must squeeze in a little work between play; there is high speed Internet access available to you at this vacation rental. There are TVs and DVD Players. Outdoors, there is a grill for serving up tasty burgers oceanside. 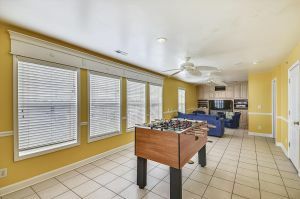 There is also an exciting game room available, and it is ready to please friends and family with a foosball table and a Megatouch video game. 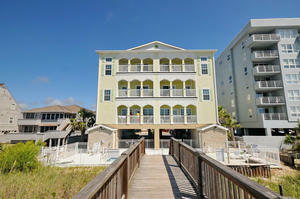 Three stories wonderful, this vacation villa sports six bedrooms; each with an oceanfront balcony. Aces Wild Spade connects to the beachfront via a pathway across the dunes. 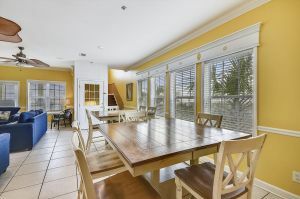 You can go from luxury living to toes in the sand in a few seconds flat. 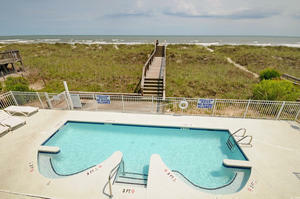 North Myrtle Beach, South Carolina is known for its wide shoreline. 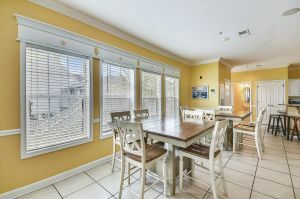 From beachcombing to Frisbee games, afternoon naps to body surfing, this North Myrtle Beach location has it all, and it is all nothing shy of exquisite. 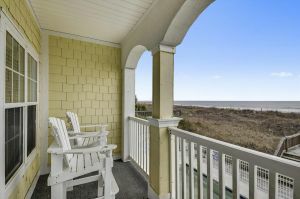 Of course, Grand Strand attractions, shopping, dining and golf are conveniently located. Go wine tasting at Duplin Winery or La Belle Amie Vineyard. 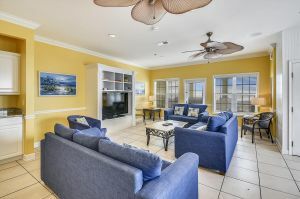 Take in a concert at the House of Blues or a free show on Main Street during the summer as you come and go from your vacation rental beach house. Learn to shag dance on Ocean Drive or explore the marshlands on a kayak. 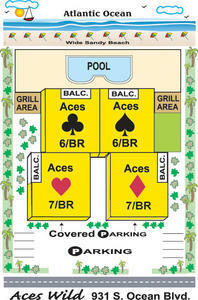 The opportunities for fun add up to a full house at Aces Wild Spade in North Myrtle Beach, South Carolina.